This week I had a little fun at my sewing machine. I spent Spring break in Southern Utah last week and we made a stop at my Aunt Sandy's house. She is ever so talented and makes amazing quilts and Doll clothes, and actual porcelain dolls, and everything. She was showing me all the string quilts she has been making and I just had to try out her method! I made something a little smaller than a quilt of course. I used my Girlfriend Clutch Tutorial and sewed it up in the new fabric line from SEW CAN SHE. Her fabric line is called Sweet Caroline. Isn't it pretty? You should see the rest of the stack! This is what the inside looks like. 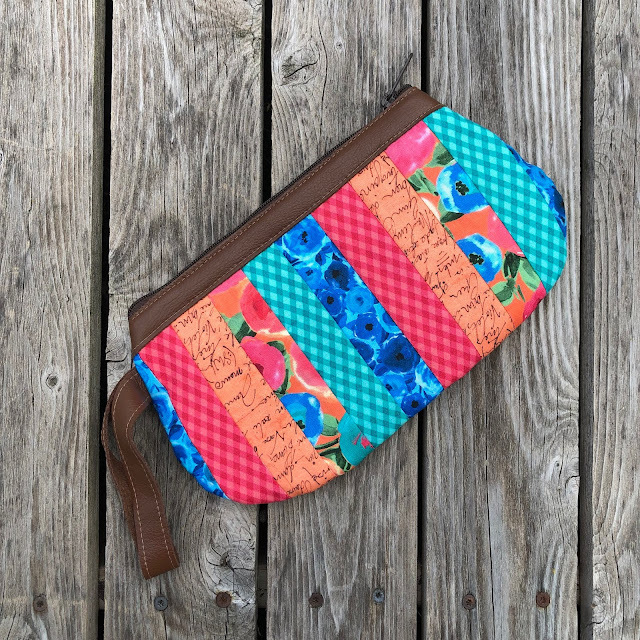 I haven't made a Girlfriend Clutch in such a long time. I have forgotten how much I love them. I also added a little leather to the top of this one. I have all these leather scraps I need to figure out how to use up. Let me know if you want a tutorial on how to add some leather to the top. I also got my Serger out today and made some quick burp cloths. These are so easy you guys! I could write a tutorial but you probably don't need one. :) Just some pretty fabric, some Minky or flannel and a serger. Cut yourself a shape and go! I hope you all made something fun this week too! Until next time, SEW long and be SEW happy! Hi sewing friends! 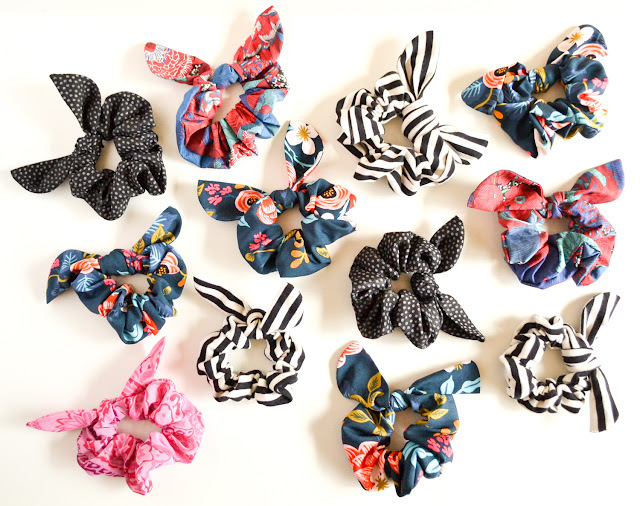 As I'm sure you've seen, scrunchies are back!! 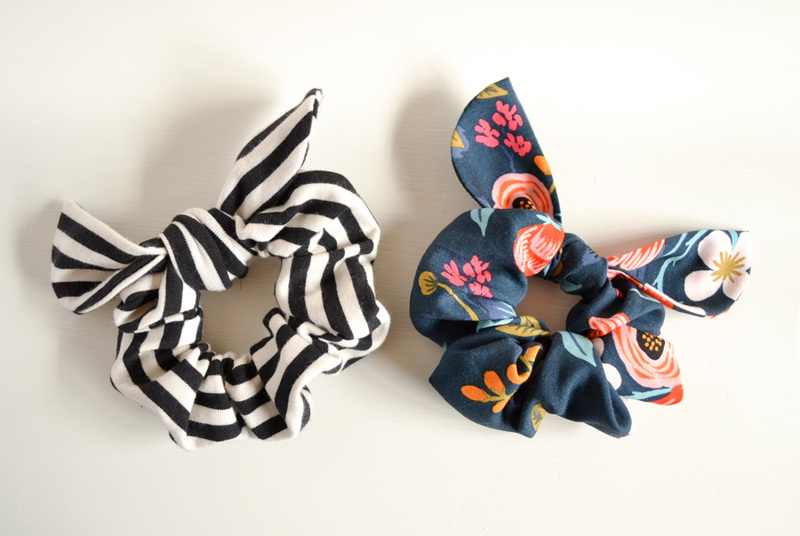 But have you seen the cute little tie scrunchie versions that are out there? A tie scrunchie is a scrunchie with a little strip of fabric tied onto it to make it look like you've tied a little hair scarf around your pony tail. 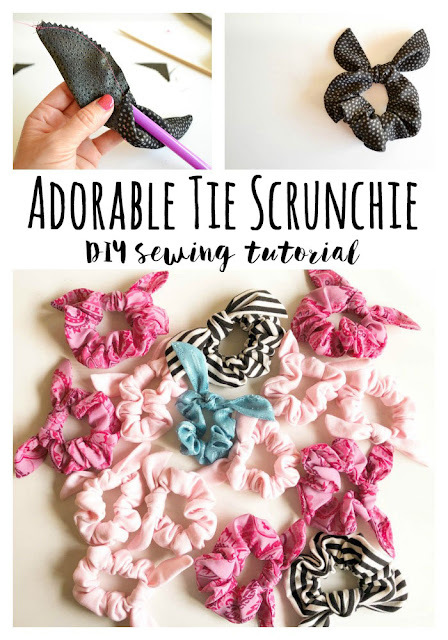 Head on over to get all the details on how to make your own OR... if making is not your style I put some in my ETSY shop just for you. I listed a bunch in my ETSY shop because they are so fun to make and I just couldn't stop. If you are looking for custom colors or a whole set of matching ones for a team message me on ETSY and I'll whip some up for you. 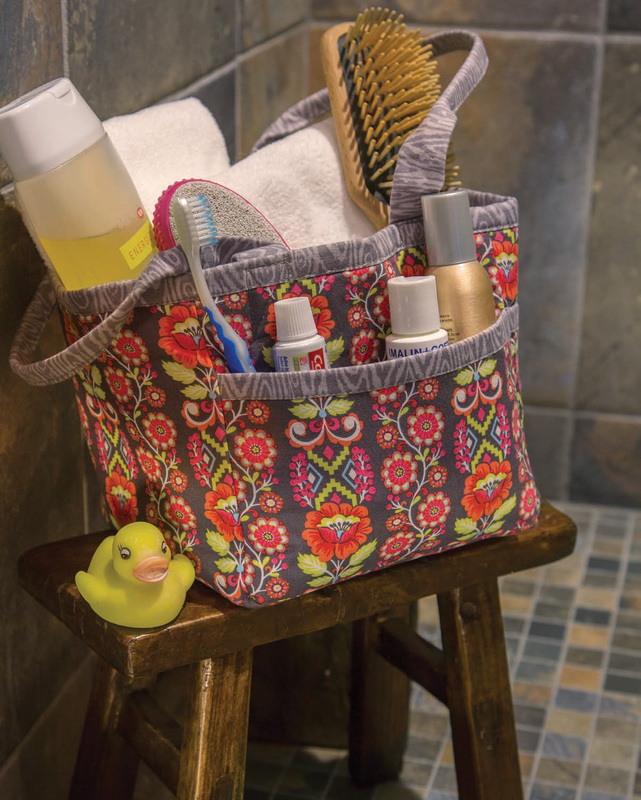 The handbag has a variable star block built into the side panels, giving it a pop of color and a cute way to show off your love of quilting. The star panel is great for using up some of your scraps or for playing around with your new favorite fabrics. You can also substitute an 8”, or larger, orphan block to the center panel for a completely different look. The Quilty Penelope Bag is perfect for carrying all your essentials, plus a few extras. It’s small enough that it won’t weigh down your shoulder, but roomy enough to hold what you need. There are pockets on the inside and a simple magnetic snap closure. The comfortable fabric strap stays on your shoulder and easily slips on with one hand. If you make one I'd love to see it! Show it off on Instagram at #QuiltyPenelopebag and tag me @bluesusanmakes. Hello sewing friends! Today is a pretty exciting day for me. I am officially releasing a new pattern for sale. It's a PDF pattern to make a Gingerbread Man Puppet or Softie toy. Take a look and tell me what you think. You can use this pattern to make a cute softie toy or put a puppet pocket on it to make playing with him a little more fun. Leave him unstuffed (pictured below on the right) to make him easier to move or stuff him fat (pictured left) so he's nice and snuggly. A few years ago I made a bunch of these little Gingerbread men to give with a Gingerbread Man book to all the families on our Christmas list. 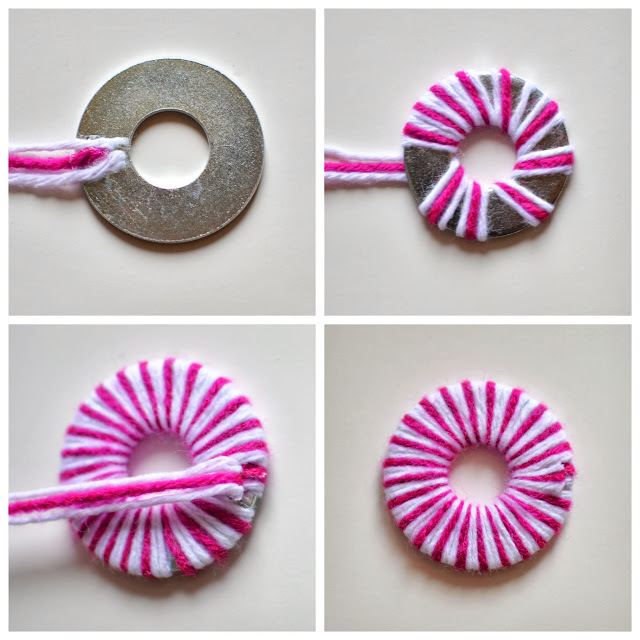 They turned out so cute I thought it would be fun to share how to make one with you all. It makes the perfect, simple handmade family gift. This PDF Pattern is written for the beginner sewist and includes 10 pages of detailed photos, instructions, and printable pattern sheets to make it easy for you to make this cute little guy. That means YOU can make this! I sewed him up out of polar fleece but any medium weight knit fabric will do. Here's a little peek at the back. 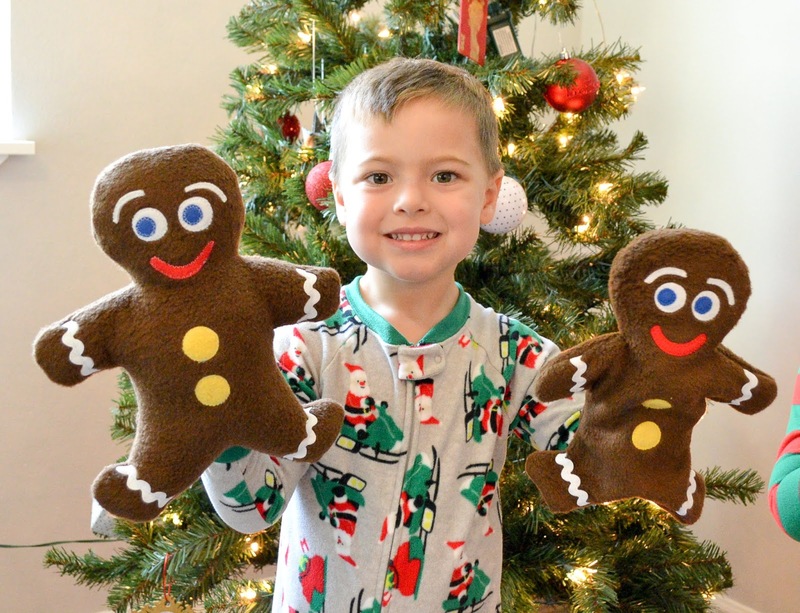 He turns into a puppet with a simple pocket which makes it easy for little hands to slip in and run around the house with while the Gingerbread man escapes from everyone who is trying to eat him. "Run, run, as fast as you can. 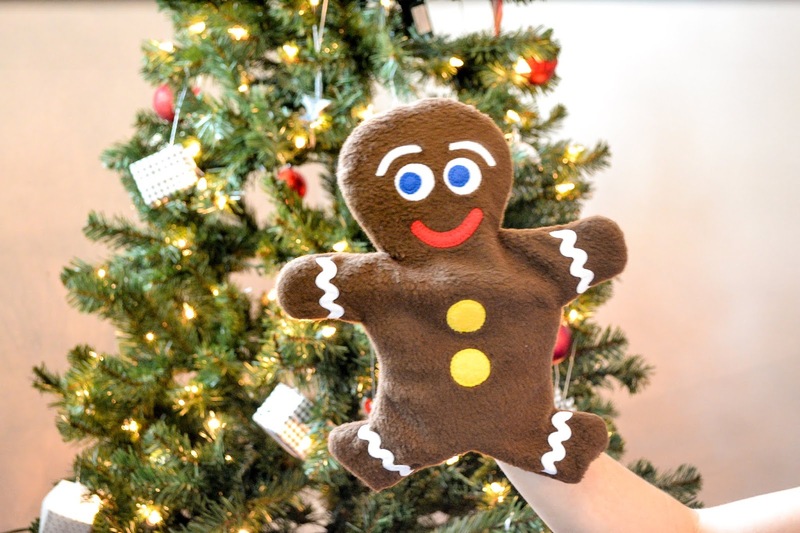 You can't catch me, I'm the Gingerbread Man"
This is an exciting day for you too because for the next couple of days this pattern is available in my Etsy shop at half price. If you hurry you can snag one. 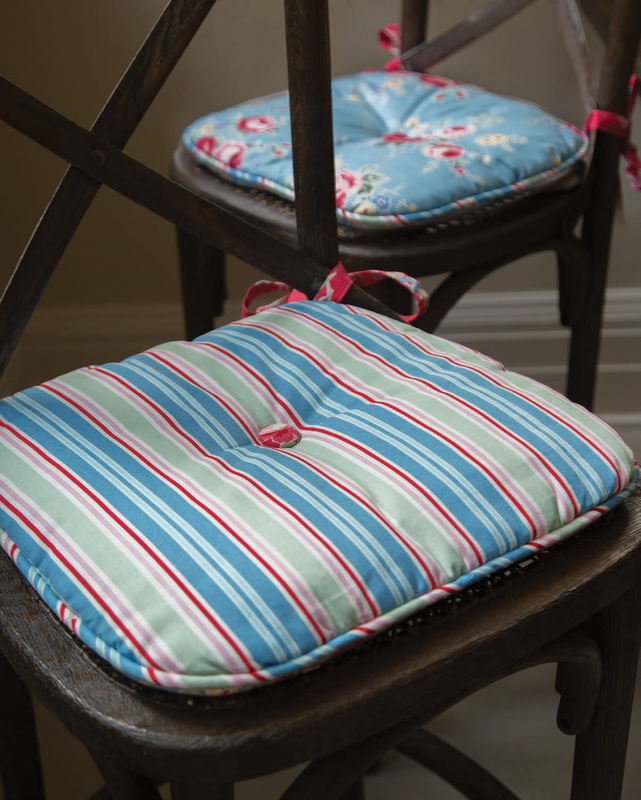 And don't worry these are quick to sew and there is plenty of time to make one before Christmas. :) If you make one I'd love to see it. 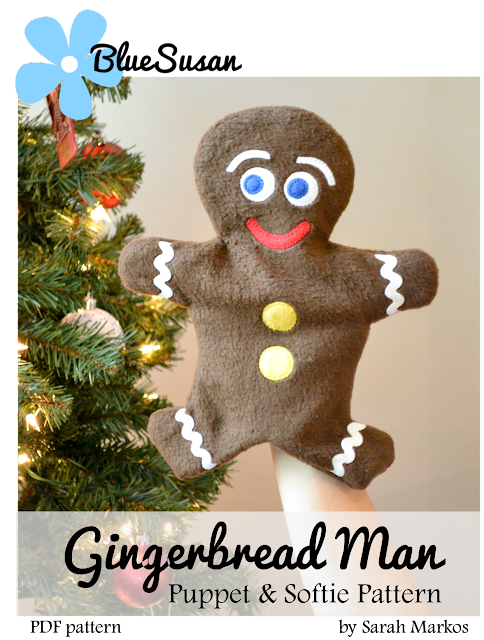 Share it on Instagram with #gingerbreadmanpuppetpattern and tag me @bluesusanmakes. Hi sewing friends! We are busy getting ready for Halloween over here. I love Halloween! It may be my favorite holiday. 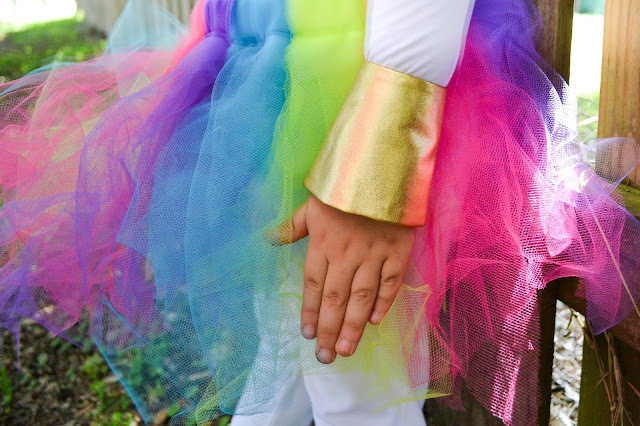 I just love all the extra costume sewing I get to do. 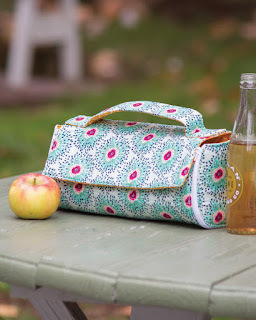 Today I'm here to show you a new tutorial I have up on the Fabric.com blog. 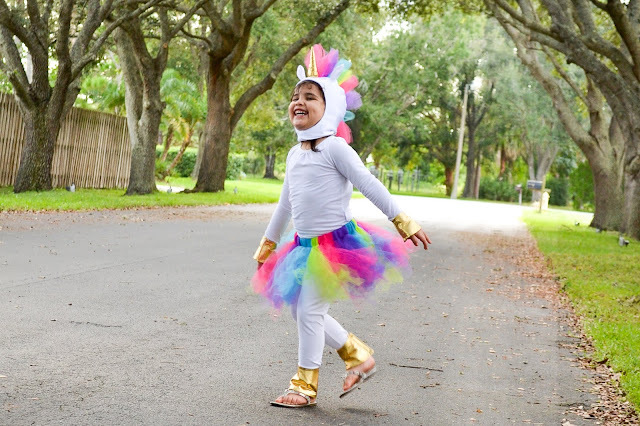 It's a DIY Rainbow Unicorn Costume tutorial just in time for you to make it for Halloween. It has been a while since I've created a new tutorial so I jumped at the chance to do another costume for Fabric.com this year. I am super excited about how it turned out! And isn't my little model the cutest!! 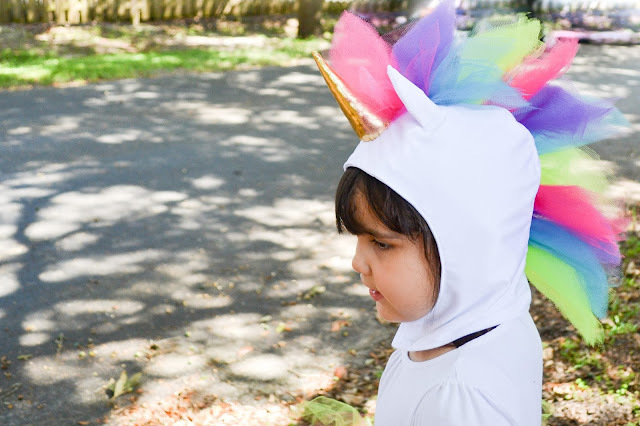 With this tutorial you get to make all the accessories to turn a plain white shirt and leggings into a little girls' Rainbow Unicorn dreams come true. The pattern is sized to fit about a 2-4T. A five year old could probably get away with it as well. 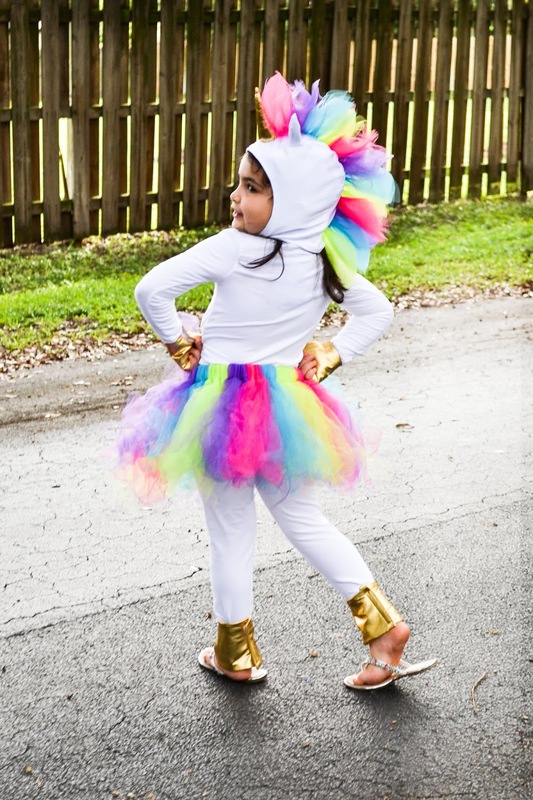 (my little model here is almost 5). I mean who doesn't want to dress up as a unicorn at that age. The tutorial includes instructions and patterns to make a Hood, Skirt, and Hoof cuffs. The hooves might be my favorite. 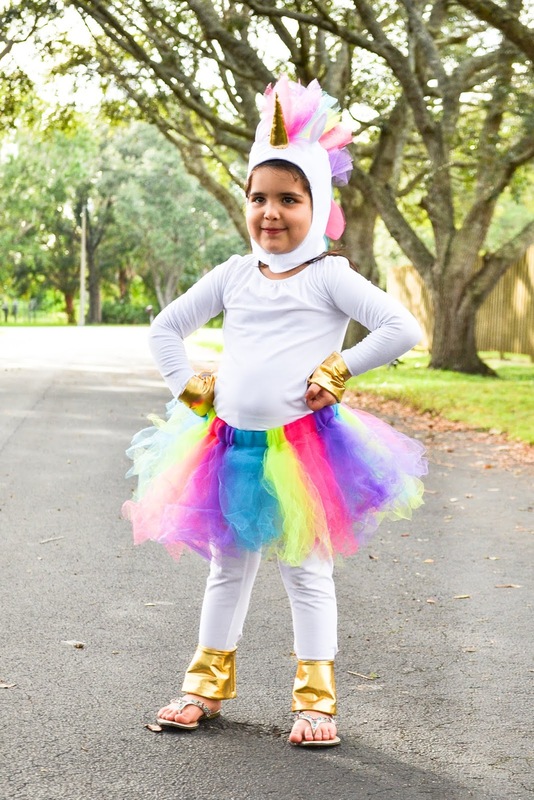 I love how they repeat the Gold on the horn and really finish off the costume. For the skirt and the mane I used this amazing tulle. It's new at Fabric.com and comes in a ton of different colors. 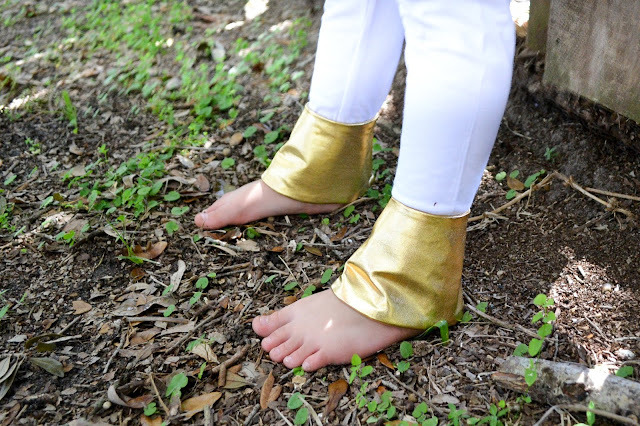 The cuffs are made with the awesome gold lame and for the hood I used some Activewear spandex knit. Both of these fabrics were very easy to sew. If you use this tutorial I'd love to see how it turns out!! Hi Sewing friends! 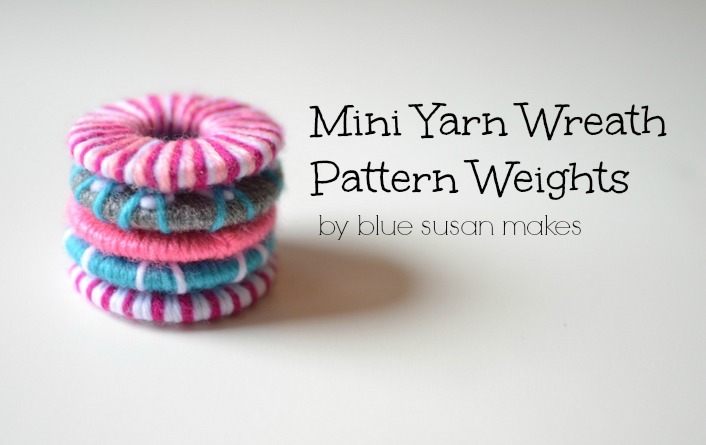 Today I get to be a part of the Crafty Little Things to Sew Blog Hop. Have you seen this book yet? It's the newest book by Caroline Critchfield-Fairbanks and the bloggers of SewCanShe. I get to give you a peek into it today and give you a chance to win a copy too. To enter just follow the instructions at the bottom of this post. This book is full of cute little projects you can sew up in an afternoon. 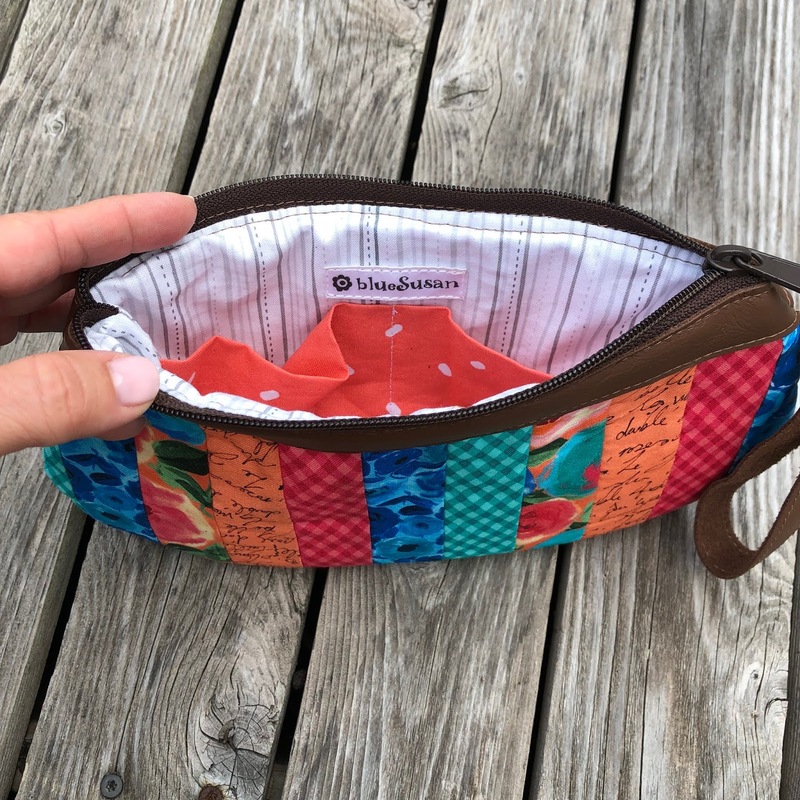 I love a quick sew, don't you?! There are a few projects that I'm just itching to make. 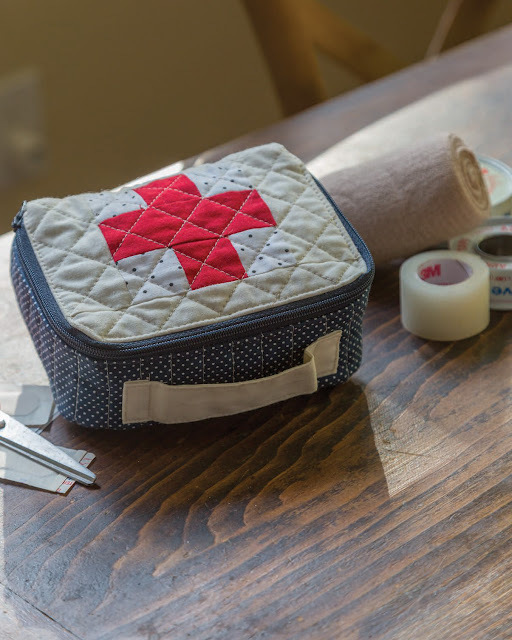 Like this Quilty First Aid Kit! I think my daughter needs this to keep all her meds, skin creams and ointments organized as she heads out to college next year. The Two-in-one Lunch Tote and Placemat and the Spacious Spa Caddy look handy and super cute. I designed a project for the book too. 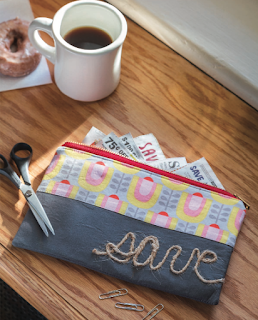 It's called the Casual Coupon Pouch. I'm a little bit of a lazy couponer. I love a good deal but I don't have time to go to the extremes and find ALL the good deals. 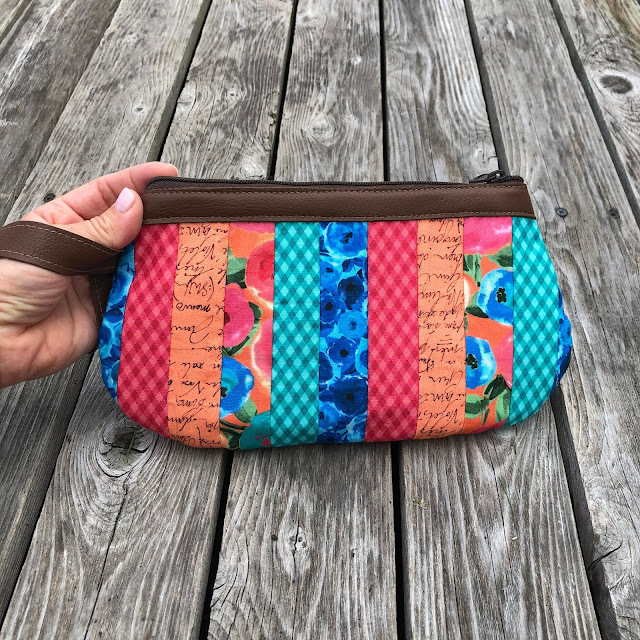 So I thought it would be nice to have a pretty little pouch that I could throw in my bag to store coupons and receipts so they don't clutter up my wallet, which is usually what happens. 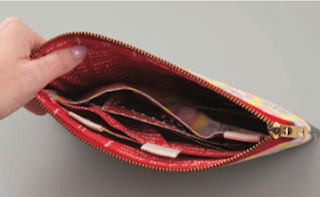 It looks like an ordinary pouch but there are dividers inside to help keep things nice and tidy. Okay one more thing if you are still with me. 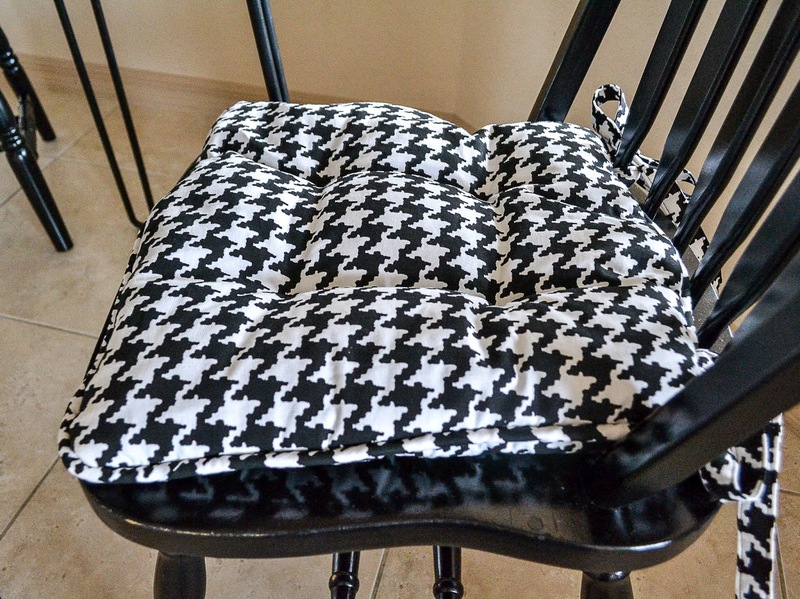 I was lucky enough to get a chance to sew up a project from the book TODAY! 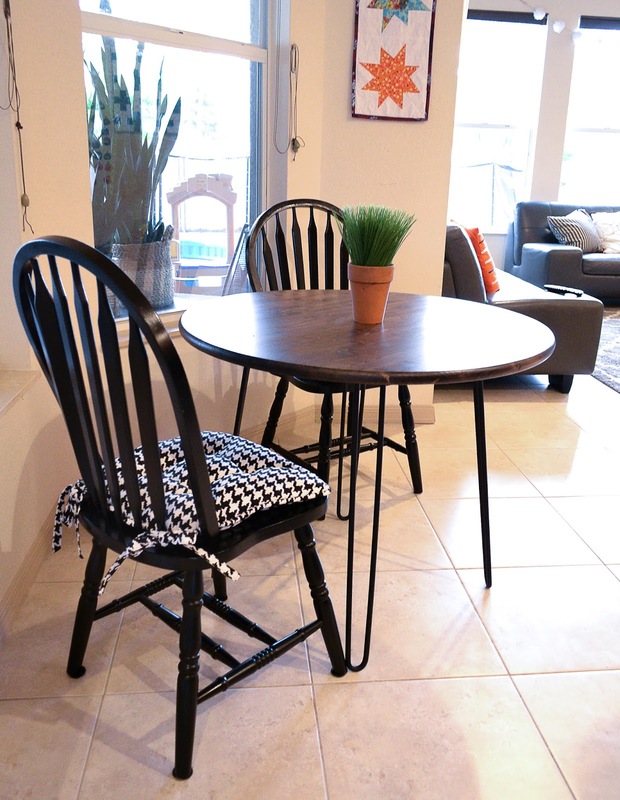 I made cushions for my kitchen chairs using the Reversible Barstool Cushion pattern. I was so excited to see this pattern because I've been wanting to make cushions for my new little table in my dining nook. 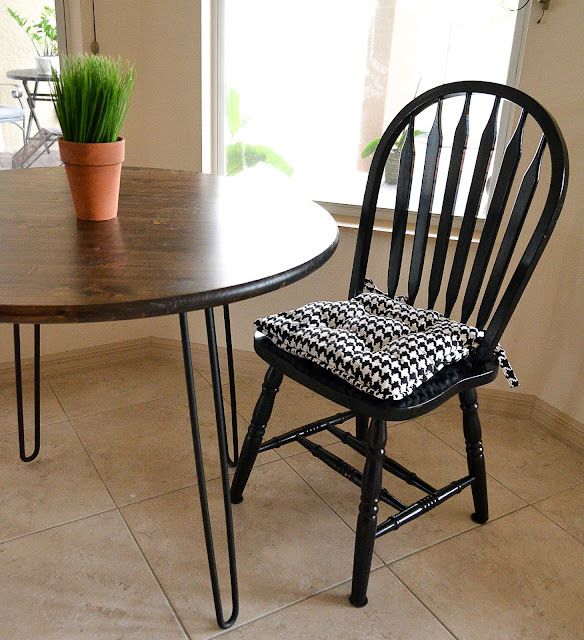 I made this table using a tutorial by Delia's Hairpin Coffee Table Tutorial. While the pattern makes a reversible cushion that is so cute for mixing prints I decided to just use one fabric for the top, bottom, and piping. This little cushion is taking me one step closer to realizing my dreams of decorating my home in Joanna Gaines' style (LOL!). I think I need one with fun prints for my sewing seat though. Since I didn't have a button cover kit on hand I just tacked the center down in 4 places to quilt it a little. I just love how they turned out. I wasn't sure how the piping would go but I just followed the instructions and it came out perfectly. Love! 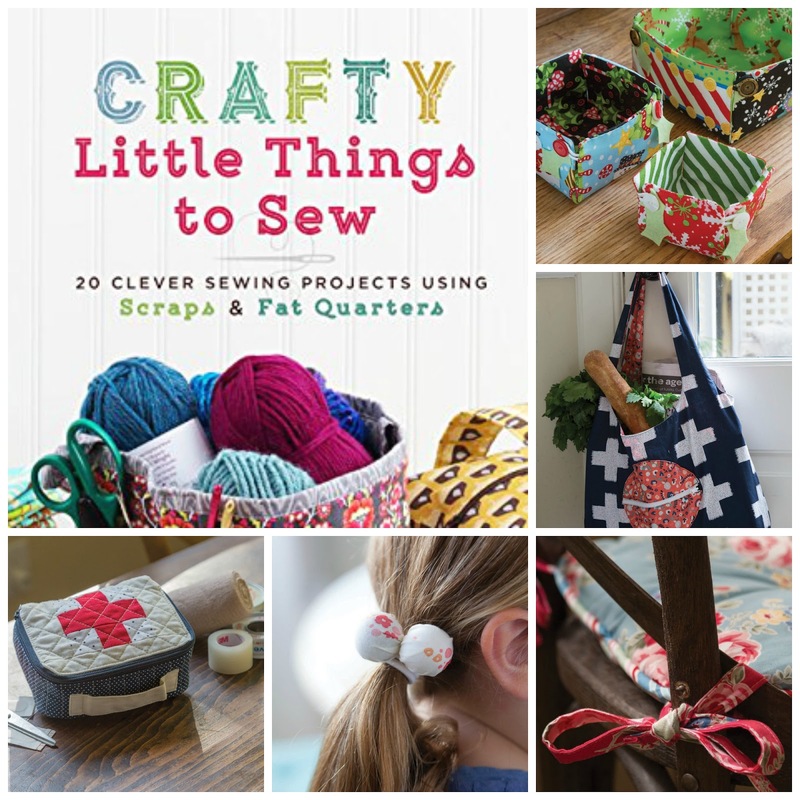 I hope you'll check out this Crafty Little Things to Sew and to win a free copy please enter the giveaway by leaving a comment on this post. For an extra entry follow me on Instagram @bluesusanmakes and leave a comment there. 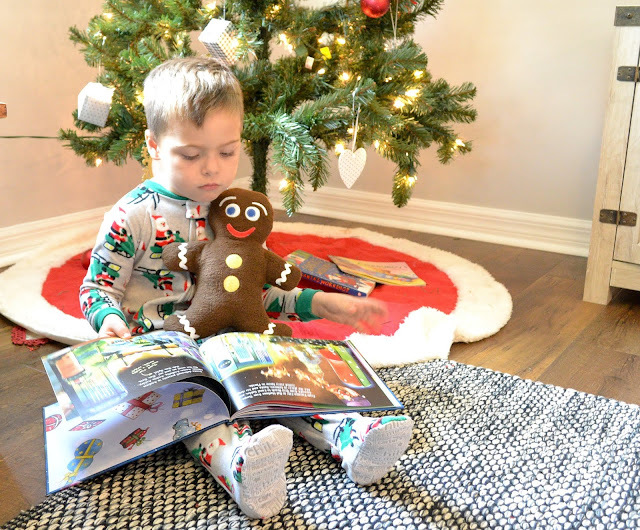 There are also other stops on the Blog Hop you won't want to miss. Happy Sewing!